Delighted to have found one of the Books About Town. 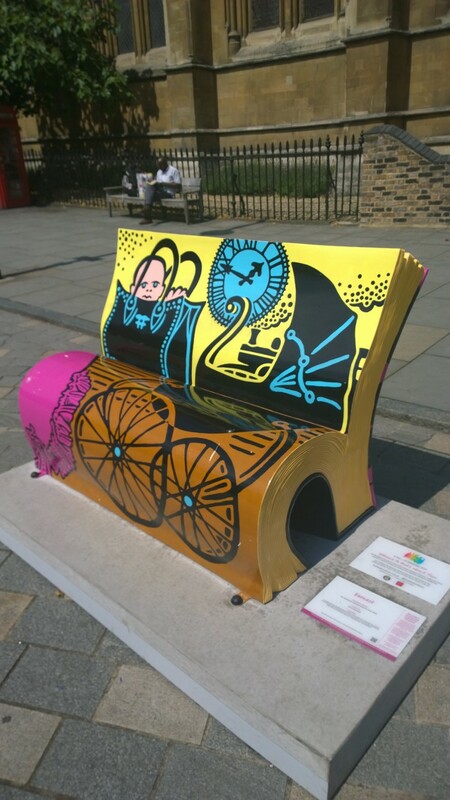 There are 50 of these wonderful bench sculptures dotted around London, designed to look like open books, to celebrate London’s literary heritage and promote reading for enjoyment. This bench is homage to The Importance of Being Earnest, by Oscar Wilde. I feel like an intrepid hunter, having found it, and need to dedicate this post – and ‘my’ bench – to @OheMCee who I know was looking forward to seeing one ‘in real life’ as much as I was. As if I needed reminding of how much I love my home town. This entry was posted in Art, Latest News, London Life and tagged Art, Books About Town, Importance of Being Earnest, London, Oscar Wilde. Bookmark the permalink.